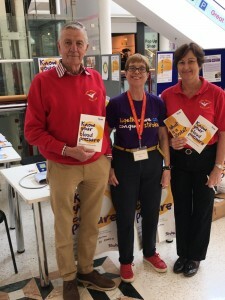 On May 30th 2019 in The Belfry Shopping Cebtre, Redhill, a team of Club members organised by Rosemary Jones, offered free blood pressure tests to the public. It was so popular that there were queues waiting to be tested. This was part of the Stroke Awareness campaign of the Stroke Association.